The updated XZ2 and XZ2 compact continue to build on Sony’s legacy of innovation as they are the first smartphones in the world to record 4K HDR-video footage and Full HD super slow motion video at 960fps. Powered by the latest Snapdragon 845 chipset with a custom Sony Xperia exclusive ROM, the Xperia X2 further refines the already impressive specs of last year’s model. Although the camera module’s are carried over from the previous XZ1, Sony has partnered with Qualcomm to produce an exclusive image signal processor (ISP) that promises to deliver sharper images with lower noise-handling performance in both stills and video capturing. In our brief hands-on time with the phone, there is a noticeable improvement over the XZ1, particularly when it comes to video, but they may also have something to do with the XZ2’s impressive movie-making specs. The Sony Xperia XZ2 is the first smartphone to hit the consumer market that is capable of recording 4K HDR video content meeting Rec. 2020 UHD standards with an impressive bit depth of 10-bits per sample. What does that mean in real terms? The Xperia XZ2, can capture a wide spectrum of colours and dynamic range within high contrast scenes, such as slightly backlit portraits and night time recordings. We were able to view some side-by-side examples of this phone VS its predecessor and the difference is significant and impressive. You may be familiar with the Xperia’s leadership in the 3D-scanning tech, no, Apple did not pioneer 3D face scanning, Sony were first to market with 3D-face scanning with the XZ1 and they’ve further improved the feature in a couple of smart ways. Post-processing enhancements have improved the detail and texture of the the Xperia’s 3D scans, now capturing 500,000 polygons vs 50,000 previously. With more data captured, Sony now sends the image to its servers to process, which can take up to 10 minutes for full res scans, but what you get back is effectively a 4K-textured image. The detail and likeness is the most impressive we’ve seen from any smartphone 3D scanning or mapping application so far. Enjoying content on the new Xperia phones is also boosted as the new devices can upscale SDR content to HDR quality in real-time, delivering punchier colours, detail and contrast. Xperia XZ2’s upscaling works with stored content, as well as videos streamed online. The larger of the twin releases features a 5.7-inch 18:9 ratio screen, with thin bezel edges. Side-by-side with the XZ1, this new device is physically smaller but manages to carry a screen that’s 13% larger. Sony claims that the XZ2 Compact is the world’s smallest smartphone to feature an HDR Full HD+ 5-inch screen. Compared to say the Google Pixel 2, which measures in at 145 x 69.7 the Xperia XZ2 Compact is diminutive at 135 x 65mm, so we’re inclined to agree with Sony on this one. The speakers in the year’s model are 20% louder than the XZ1, with S-Force front-facing surround sound, tuned with Dolby Atmos. The phone’s also have LDAC support for Hi-Res audio. But intriguingly, Sony has taking audio/visual content consumption in an interesting direction by including a dynamic vibration system for everything from user interface feedback to visual and audio entertainment. Using tech that’s similar to Sony DualShock in Playstation controllers, the Xperia XZ2 uses low frequency actuators to provided haptic feedback that intelligently compliments the content on-screen. Sony calls the innovation intuitive, but it does feel a little odd and may take some getting used to. Sony has been criticised for putting out unapologetically box-like phones with hard corners that fly in the face of current mobile phone-design trends. 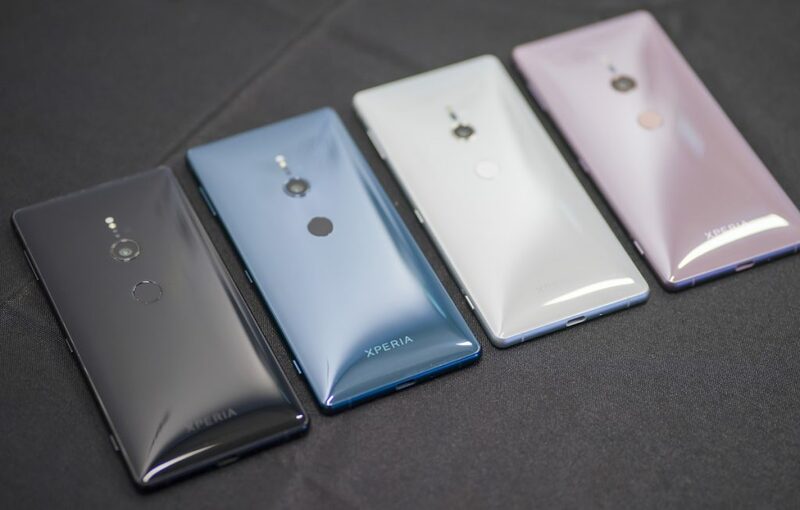 However, with the XZ2, Sony has joined the crowd by adding beautifully smooth 3D Gorilla glass 5 on the front and back of the XZ2, which sinks into its aluminium band. The XZ2 compact only gets the glass on the front – instead it features a frosted anti-scratch polycarbonate material, which looks and feels fantastic, and attracts far fewer fingerprints. Both phones have a water and dust resistance rating of IPS 65/68, as well making them tough and durable devices. 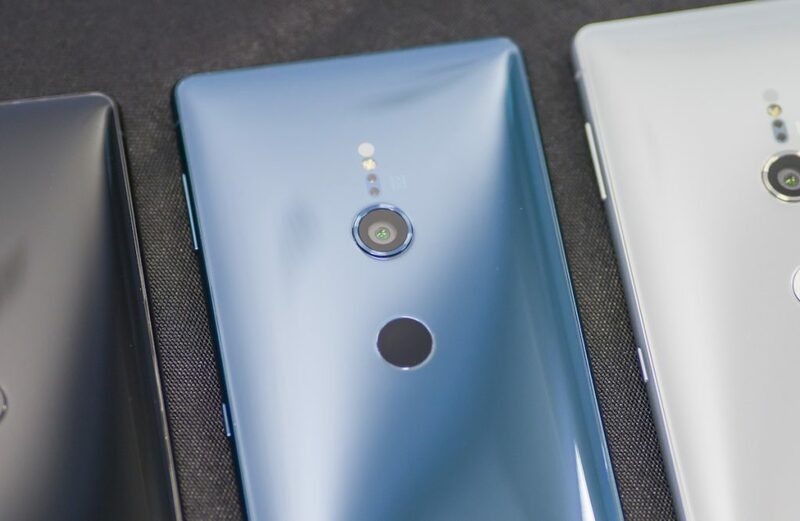 The Xperia XZ2 has a 3180mAh battery, with wireless charging capabilities and releases in the UK in four colours: Liquid Black, Liquid Silver, Petrol Blue and Ash Pink, while the Xperia XZ2 Compact comes in Black, White Silver, Moss Green and Coral Pink. These devices will be available to order in the UK from the end of March, shipping with Android 8.0 (Oreo) straight out of the box from the beginning in April. I have a Sony Xperia Z3 and have a broken screen. Please urgently advise how I can get my data and contacts off the phone before I put it in for repair, as I understand from Vodaphone that it is impossible and when the screen is replaced, the phone has to be wiped and put back to factory settings. I have not backed up my contacts on gmail unfortunately. The phone is still working, although is not useable without a screen replacement.